Tanoshiku Asonde Nouryoku Up! Tanoshii Youchien '95-nendoban (楽しく遊んで能力アップ!! 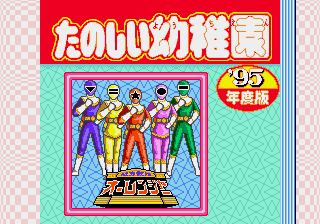 たのしい幼稚園 '95年度版) is a Sega Pico game themed around several franchises.